During your morning walk or his play time in the park, your pup may have punctured his toes or paw pads. Or, he may be suffering from a fractured claw or toe, a burn, or he could even have a foreign substance lodged somewhere in his paw. There is also a slight chance that his licking and chewing could signify he has another problem, such as hip dysplasia or arthritis. Excessive paw licking could also point to an allergic reaction that your four-legged friend is fighting. In particular, food allergies are a common culprit for this kind of behavior. Other prevalent allergens that could be affecting your canine’s feet are pesticides in your yard or chemicals you use on carpet or floors. Even untreated weeds and grass can create an allergic reaction. Like humans, dogs can suffer from a variety of skin conditions that lead them to lick or chew their paws. As mentioned previously, some skin conditions could be caused by allergies, while others may relate more to environmental factors or to flea or tick bites. On occasion, if your dog has been licking his paws for an extended period of time, the moist environment can lead to a bacterial or yeast infection that will need to be treated separately. If your dog has been bitten by fleas, mites, ticks, or other external parasites, his skin can feel itchy, irritated and sore, leading him to lick and chew. It might sound odd to us humans, but it is possible for dogs to obsessively lick their paws due to boredom, nervousness, or anxiety. Boredom is a particular problem for today’s dogs. With busy working families, it can be a challenge for owners to get out and walk or play with Fido. And when poor Fido is cooped up all day at home, or in his crate, he may resort to this behavior. If you’re located in the Gilbert, AZ region and your dog seems to be struggling with a paw irritation, don’t hesitate to bring him in to see us at Anasazi Animal Clinic. 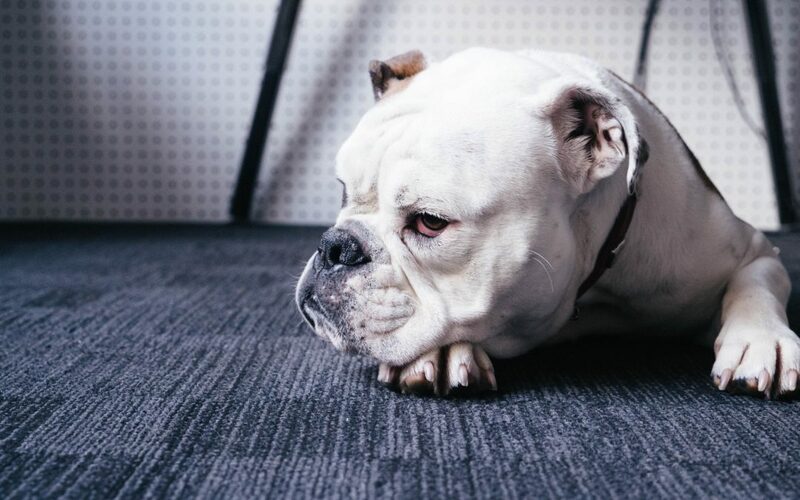 We’re your local veterinary clinic, and we’ll do our best to see that your fluffy friend leaves our office feeling better than when he came in.